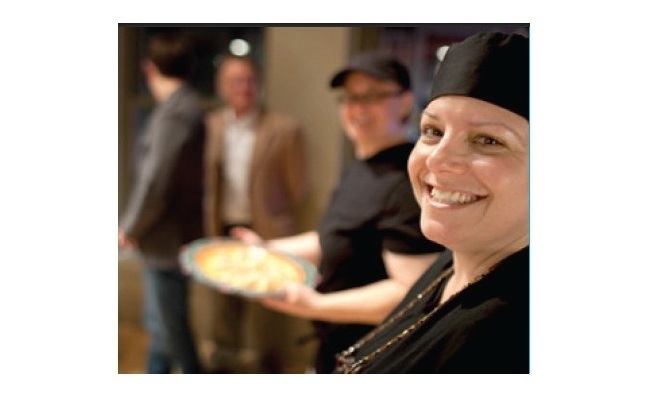 Karen Kostrinsky had always loved cooking and entertaining. She wanted to leave the corporate world and start a business around her passion, but wasn’t sure where to begin. In November 2010, a local business owner recommended the Small Business Development Center hosted by Long Beach City College. “I had all these ideas in my head, and she said the SBDC would help me streamline them,” Kostrinsky recalls. SBDC Business Advisors Samantha Sproson, Ryan Smolar, Laura Lara, Megan Fate and Carolina Marin-Henriquez helped Kostrinsky develop a business plan, marketing plan and website. Her business and life partner, Deb Gangwer, learned to use QuickBooks, and the partners got help choosing a legal structure for their business and obtaining a business license and DBA. Get social. Kostrinsky learned to communicate effectively with customers using social media tools like Facebook, Twitter and Yelp. “[Social media] has given us exposure and credibility,” she says. Five months after its February 2011 launch, Savor Flavor Dining had already surpassed monthly projections and was halfway to its first-year sales goal. The partners are currently fine-tuning their target market and assessing the best ways to educate prospects about their services. As their business grows, Kostrinsky and Gangwer plan to explore new avenues for expansion, possibly including a cooking school, commercial kitchen or catering, with the ultimate goal of opening a bed and breakfast inn. Along the way, they’ll continue turning to the SBDC.